Bruce Bolkema is a Supply Chain Intern for Raven Applied Technology. Bruce graduated from Southwest Minnesota State University in 2017 with a degree in Business Management with an emphasis on Supply Chain Management. 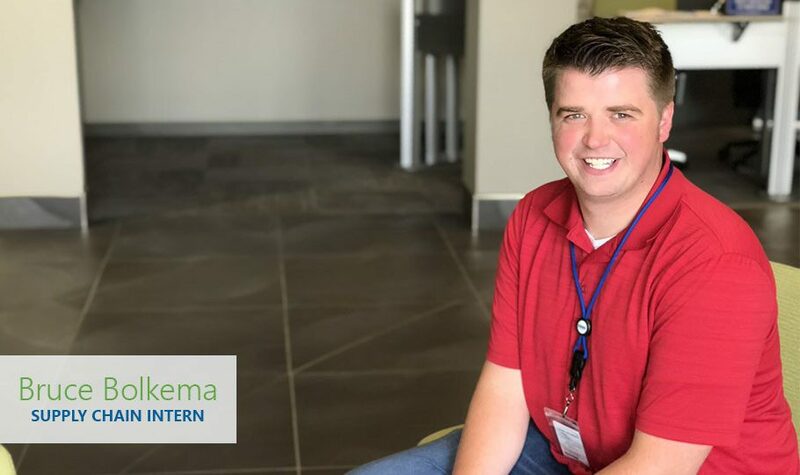 As a Supply Chain intern, Bruce is gaining real-world experience learning how to be a buyer for parts used in Raven products. He works with other companies to schedule deliveries, coordinate orders, and manage vendor relationships. “It’s been a really good experience to get exposed to buying the product,” Bruce said. He is starting small, working on purchasing low-cost items in high quantities. He is also learning how to work with third-party suppliers to efficiently stock shelves. Bruce’s favorite part of his internship so far has been experiencing the supply chain industry on a first-hand basis. “I’m not just shadowing people and sitting in meetings,” Bruce explained. “I’m responsible for [purchasing] parts… they treat me like another team member.” His exposure to the industry has been made greater by his appreciation for Raven as a company. All of the [Raven] businesses serve purposes that are needed. They are serving the greater good, not just selling something." Communication with suppliers and coworkers has been a key aspect that Bruce has learned this summer with the help of his mentor, Rebecca Degroot, Supply Chain Manager for Raven Applied Technology. The Raven Value of authenticity emphasizes Bruce’s appreciation for genuine communication. Bruce would tell future interns to have an open mind and to be willing to dig into the work. “You’re not just putting in time, you really feel like you have a purpose for your work here,” he said. SMSU offered Bruce a good business program close to home. He hopes to continue his career in supply chain management in a variety of roles. Fun summer plans: Ran a marathon in June! "They treat me like another team member."